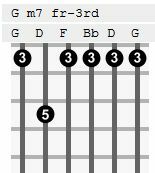 Together we are [Gm7 third fret] flow-[Cm7 third fret]-ing [Gm7 third fret]find-[Am7 fifth fret]-ing [D] love. I knew what was best for you to grow. 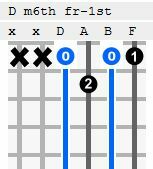 Together you will [Gm7 third fret] go [Cm7 third fret] in-[Gm7 third fret]-to [Am7 fifth fret] His [D] Heart [Am7 fifth fret] of [D] Love.